Arkansas State University-Newport is thrilled to share the addition of a school mascot logo created by Martin Merida Design. ASUN began a search earlier this year for a mascot to represent its brand and spirit. Students, faculty, staff, and alumni were encouraged to participate in the selection process by suggesting possible choices along with voting for their favorite option. After receiving an outpouring of suggestions, the institution contemplated each option while also considering the choice that best met certain criteria. It's more than a logo. It's how the public sees us EVERY DAY! Arkansas State University-Newport is a two-year college in rural Arkansas located on a retired Army Air Base in Newport, AR. When we said we wanted our mascot to be "the AVIATORS", I knew that I had to contact Martin. 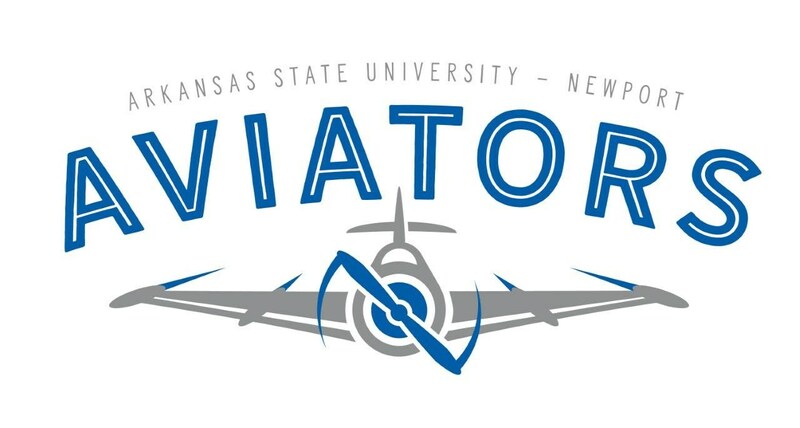 I had hired him to work on a sports team logo several years ago, and I was confident he could help ASU-Newport soar as the Aviators! Martin took the time to listen to our vision for our school mascot, and he delivered in a big way! In two short days he had multiple options for our executive committee, and with only minor revisions, we settled on a logo that is the future of our college. Students, faculty, staff, and community members can't get enough of the Aviators swag, and we're creating more brand awareness than ever! As I said earlier, it's more than a logo...it's who we are at ASU-Newport! Go Aviators!